Offering Integrated Pest Management to Buildings and Homes in Massachusetts, New Hampshire, and Rhode Island since 1997.Company is owned and managed by Mark Weaver, Board Certified Entomologist. I am extremely pleased that I can come to you with what I think are bugs and you take the time to look at them under your microscope. I like your man, Ken, who came to my house to inspect for bugs and found none. This kind of handholding when a person thinks they have bugs is crucial to me. Very thorough and responsive. Reasonably priced. Alex S. is a fantastic technician who gets the job done! I've been referring MD Weaver on social media when inquiries about referrals come up! MD Weaver is a fantastic , reliable company! Molly from MD Weaver has been so informative and responsive! Molly and this company are dedicated, informative, effective and extremely dedicated to their work! So much so that i have requested a proposal from them for another property my company covers! I highly recommend MD Weaver. They were quick to respond to my request for a quote and did and excellent job! Very professional! My tech Brian was very knowledgeable. Answered all our questions and concerns. Took extra time and put in extra effort to resolve our issues. I went to MD Weaver because they where highly recommend by several friends that work in the hospitality industry and I would recommend them as a layperson apartment dweller. I can’t say enough good things about them! Responsive and accountable! They get the job done! The MD Weaver technician was knowledgeable and very thorough. They are entymologists familiar with insect patterns and provide necessary treatment accordingly. As a result the treatment is very precise. I highly recommend their services. Dave has been great. Always on time, courteous and professional. He saw things other exterminators have not and spent a great deal of time at my house. Since his first visit I have been “mouse free”! It has been years since I could say that. Thank you! Dave was great! There was date entry error on our address, he kept the lines of communication open. Once he did get to the development he was great explaining information about the situation we were dealing with. I will definitely call MD Weaver again if needed in the future. Ted. MD Weaver has treated a couple properties for us and they have been prompt as well as reasonable. I'm happy to recommend them as I will be using them again. Techs are very knowledgeable, polite and courteous. I love the Unit Tracker, it allows me to keep informed without troubling the Techs for information, it is also a great tool to have if your residents are not in compliance. 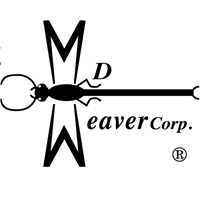 My first experience with MD Weaver Corporation was very favorable. Kevin did the work and explained what and why it was being done. I called back in two weeks for a follow up and again, Kevin came and worked on new areas where I found the sugar ants and told me what to expect. I hope the follow up will do the trick. Ken is the best bug man in the business. I know a rat when I see one. He’s the best. Mark don’t ever let him go. Dr k.
Quick response and had multipke solutions to the problem. We are a small condo complex and have used MD Weaver's services for preventive ant control. They are responsive and professional and reasonably priced. They also responded quickly when we thought we hat a bat problem. We have enjoyed working with them for two years and will continue in the future - great people to work with. I m Happy Excellent services. I think MD Weaver is the most responsive pest control company that I have worked with. I manage many properties and they are my "go to" for pest control. Very good service thus far. Thank you. We were very grateful to receive such an immediate response to our issue. The staff go above and beyond to speedily and professionally identify and resolve problems. We have used my weaver several times over the recent years, and will continue to reach out for any future issues. Thank you. MD Weaver has been our preferred Pest Control service company for a very long time. They are professional, friendly and most of all...they get their job done right! After the follow up，I’m happy about the result. I don't see croaches or ants so far. And they also promised I will be cover in next 6 months. I like the service of MD Weaver. Most professional & reputable company I have dealt with. Prompt,courteous,& efficient. Recommend them highly!! We received excellent service. Had a stubborn case of black ants. 🐜🐜The technicion returned several times (in a timely manner) until the issue was resolved. Thank You MD WEAVER CORP! Very happy with the job! Quick response and great results. Hello, MD Weaver; Yes, you have cared for my pests in the appropriate manner! I am happy that they are gone. I am not happy with my quick payment for your excellent service. Your bill finally rose to the service on my desk and I have paid it. The check is in the mail. Thanks again, Leonard A. Seagren. I am Significant Events with an address of 101 High Street, Stratham, NH 03885. Now we are connected! Always great service from MD Weaver. The company does a great job. Mark and his team are great to work with!! The rep was quick and discreet. Left detailed report. You guys are the best no need to call anyone else 👍👍. Great stuff!! Friendly staff all around.